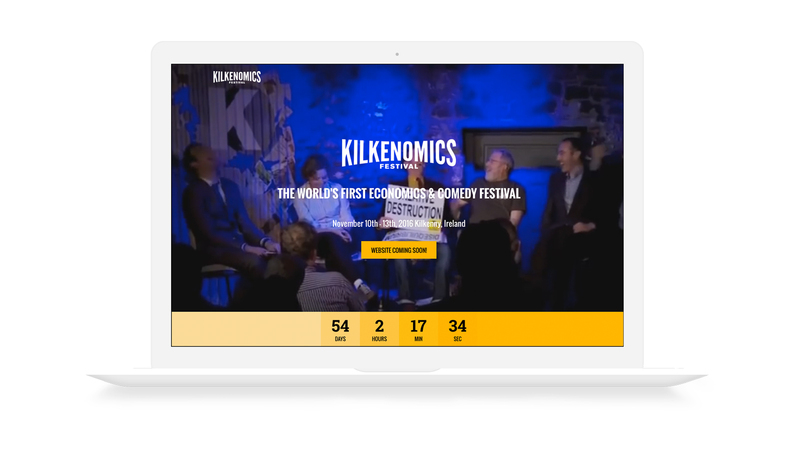 Kilkenomics, now in its seventh year, is a festival which brings together some of the world’s leading economists, financial analysts and media commentators, with some of the funniest, sharpest stand-up comedians. It has been described as “Davos with jokes". 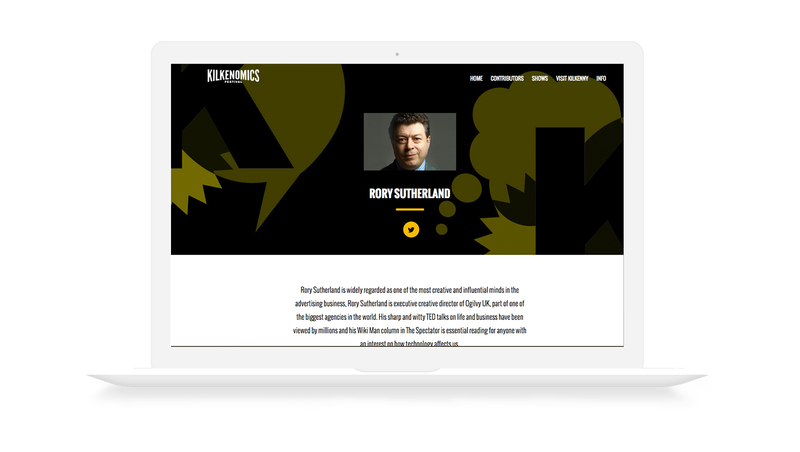 The festival is hosted by David McWilliams, who is joined by guests such as Yanis Varoufakis, Rory Sutherland, Paul McCulley, Steve Keen, Nassim Nicholas Taleb, Colm O’Regan, Dan Ariely and Barry Murphy. 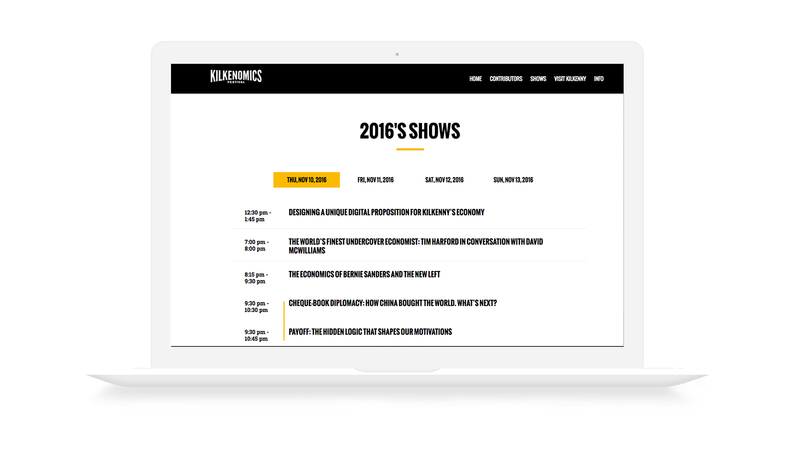 We've been working with the Kilkenomics Festival for the past 6 years, delivering both the print and digital media experience. 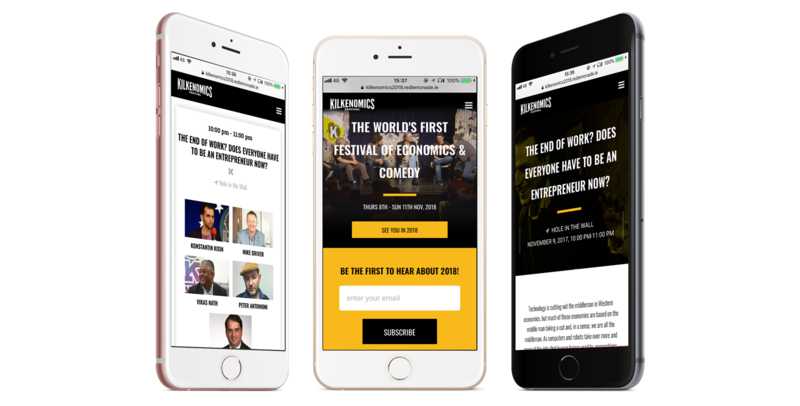 This year we have created a new website that is fully mobile responsive with extra features such as a video and an easy-to-use content management system. Other communication materials include posters, social media graphics, international press adverts both digital and print, and the festival brochure.